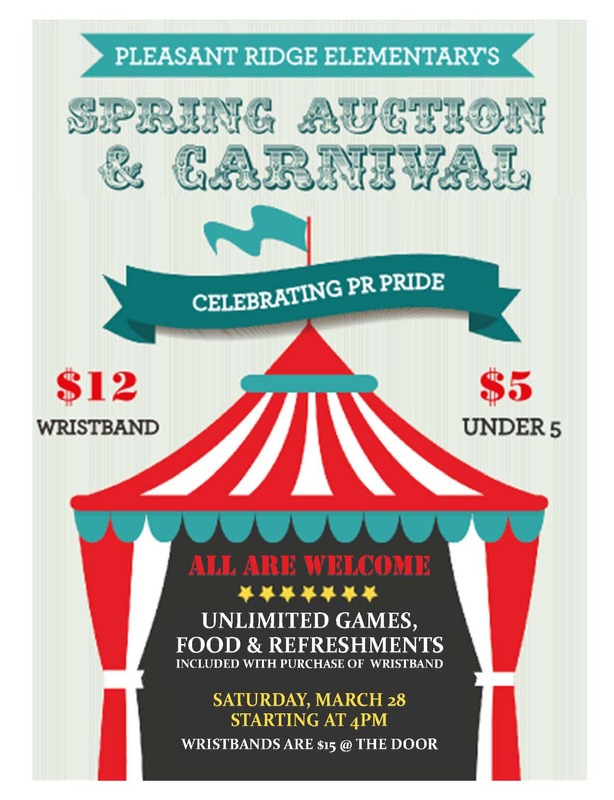 THE SPRING AUCTION & CARNIVAL is this Saturday, March 28th !!! Wristbands are still available to order, please see attached form. You can also get your wristbands from the office through Thursday. Wristbands (good for unlimited games, pizza or hot dog, popcorn or candy, and a drink) are available in advance in the PR office for $12 or at the door for $15. Or you can purchase individual tickets at the door. The fun starts on at 4pm featuring a massive cake walk as well as the return of the giant Twister game. Bingo, Plinko, Golf, a Potty Toss, and of course, the auction featuring 120+ great deals! We would love it if you could spread the word to your families. We’re looking forward to a great time and really want to share it with the rest of the community. ← Thank you for staying involved!